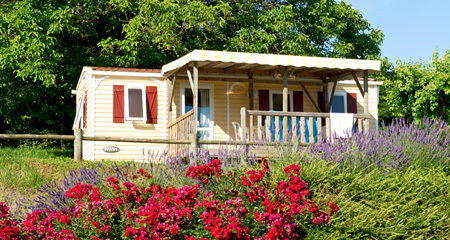 A rental for everyone in Sarlat, the mobile home for couples to 2 and 3 bedroom cottages for families, everyone will find happiness! 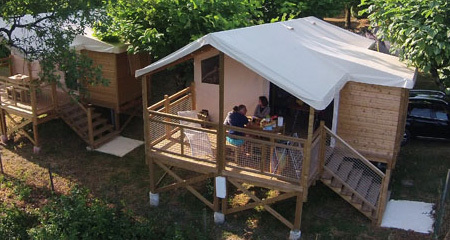 If you want to adventure our campsite in Dordogne also has unusual accommodations, the Ecolodges. 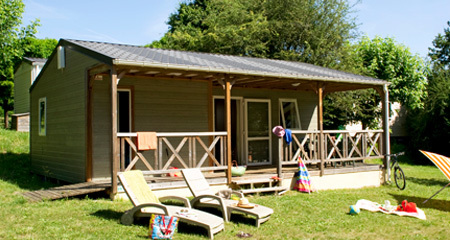 Which rental for your holiday in Sarlat ? A couple stay? What’s better than the romanticism of our mobile homes with views, where from their terraces you can dine in front of a beautiful sunset. A family with children, big cousins, or a stay with friends? Our 2 to 3 bedroom chalets with large bedrooms, a large and bright living room and private gardens are made for you! 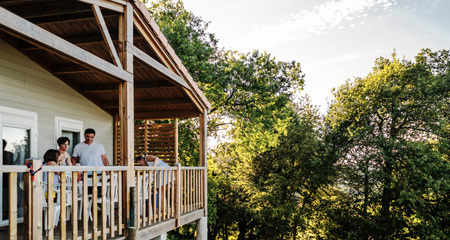 A hut in the trees to wake up with the chirping of the birds, to be surprised by the squirrel of the top of the big oaks, to listen to the rustling of the summer breeze in the leaves: live an experience of full nature! But enjoy all the comforts of a modern rental (no here no dry toilets!). 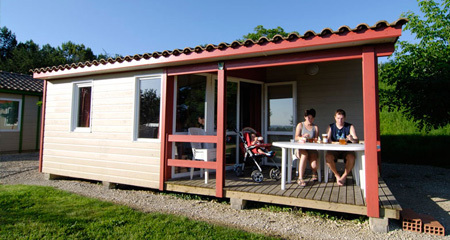 Our Ecolodges on stilts offer a panoramic view of the Sarlat region in Dordogne! Garden furniture (1 table, 4 chairs and armchairs). All our mobile homes are embellished with a large covered terrace that will protect you from the sun and possible showers..
Large terraces are integrated in the chalets and ecolodges. 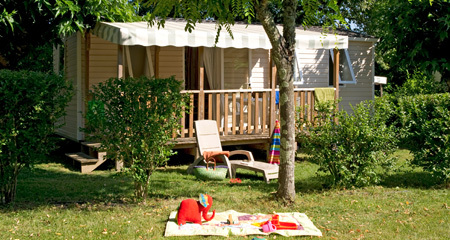 For your tranquility all our holiday rentals are raised and well delimited by a small garden without opposite, where your children will be able to play in full safety. 😉 You must bring sheets, pillowcases, linens. Long live the holidays !